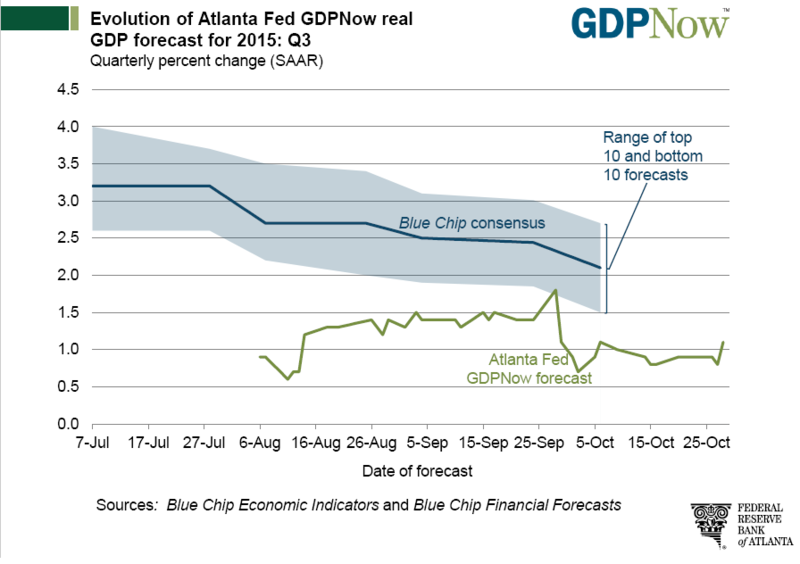 The third quarter advance (initial) GDP estimate came in at 1.5% a bit under the Econoday Consensus of 1.7%, a bit over the Atlanta Fed GDPNow Forecast of 1.1%, and well below the Blue Chip consensus of 2.1%. Steady domestic spending helped to prop up GDP growth in the third-quarter which came in at an annualized 1.5 percent, just shy of expectations. Final sales rose a very respectable 3.0 percent in the quarter in a gain that points to underlying momentum for the fourth quarter. Both residential and nonresidential investment slowed in the third quarter with both net exports and especially inventories also pulling down GDP. The price index came in a little lower than expected at plus 1.2 percent. Personal consumption expenditures slowed 4 tenths but are still a major highlight at a plus 3.2 percent rate. Service spending, an area insulated from global factors, continues to show solid resilience. But it was spending on durables, including vehicles, that was the strongest consumer category in the quarter. 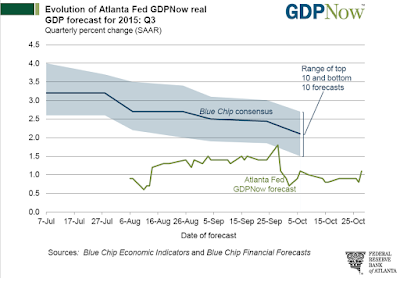 Government purchases, another area of domestic-centered spending, also contributed to the quarter's growth. The quarter's 1.5 percent rate is only 2 tenths lower than the average growth of the prior four quarters and comes against a difficult 3.9 percent comparison in the second quarter. Not a great result but not bad either. This is a muddling along estimate, signifying nothing has changed. 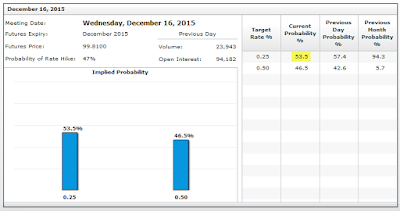 In light of the Fed's complete reversal yesterday, muddling through was enough to send the CME Fedwatch December rate hike odds to 46.5%. For discussion of the Fed's complete reversal yesterday to a much more hawkish viewpoint, please see Fed Drops Risk Warnings, Opens Door for December Hike: Who's the Fed Fooling? You, the Bond Market or Itself?